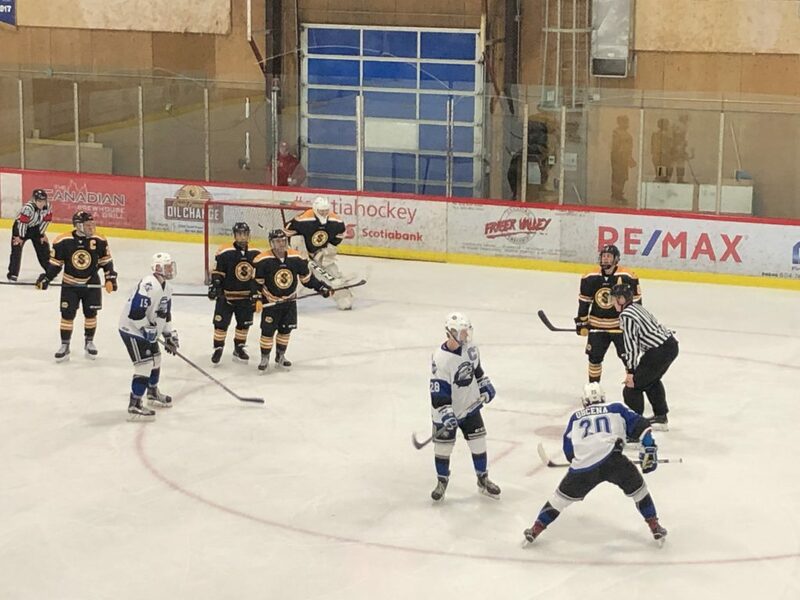 Abbotsford – Game one of a home-and-home series saw the Abbotsford Pilots (25-12-1-1) emerge victorious over the Grandview Steelers (21-17-2-0) by a final score of 3-2. Will Hazell-Penaluna notched the game-winning goal at 4:49 of the 3rd period. Thomas Pickering and Jamie Housch also added tallies for the Pilots, who were backstopped by a 23 save effort from goaltender Keaton Dyck. Mateo Toledo and Tristan Olson were the goal scorers for the Steelers. The win snaps a two-game losing skid for the Pilots and is their 15th win at MSA Arena this season. Next Pilots Game: Sunday night in Burnaby against the Steelers at 7:15PM. 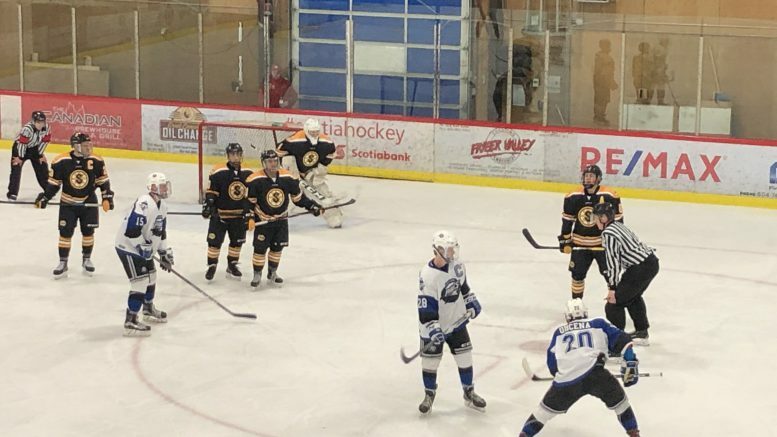 The Abbotsford Pilots were without forward Noah Wiebe Friday night, as he is currently serving his first game of a nine game suspension after receiving a match penalty Wednesday night in Langley. He will not play for the remainder of the regular season as his suspension expires in the playoffs. Baylee Wright’s assist in Friday’s game is his 114th point overall, making him eight points away from the PJHL single season point record of 121, which was set by Brent O’Connor of the North Shore Flames in the 1977-78 season. The Pilots season series record against the Steelers is now 2-1, with one more game in hand this coming Sunday night. The win moved the Pilots 7 points ahead of Langley for first place in the Harold Brittain conference standings. Be the first to comment on "Pilots Snap Two-Game Skid, Defeat Grandview"